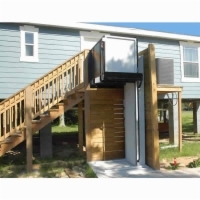 When you need an attractive lift without the distraction and mess of major construction - and you need it FAST, don't look any further than our premium enclosed wheelchair lift, and non enclosed Vertical and Wheelchair Lifts of SNT! 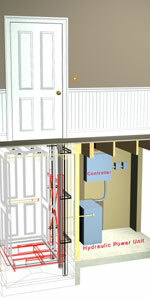 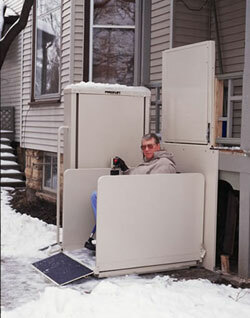 Vertical and Wheelchair Lifts of SNT! 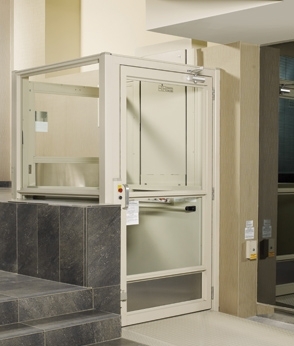 See why thousands of facilities depend on the flexibility of the Vertical and Wheelchair Lifts of SNT! 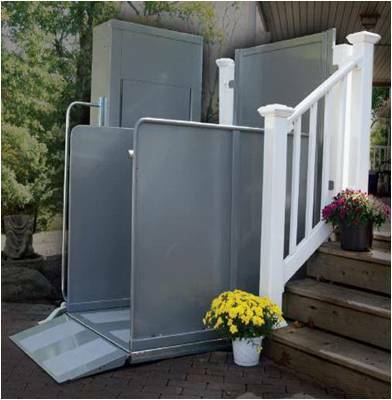 SNT Vertical and Wheelchair Lifts feature a modular corrosion-resistant aluminum frame with smooth, rounded corners, and shatterproof acrylic vision panels. 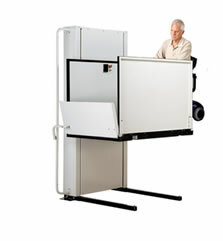 And you have the flexibility to create your perfect unit by selecting tinted windows, ventilation package, and acrylic dome for exterior installations to ensure the comfort of all passengers. 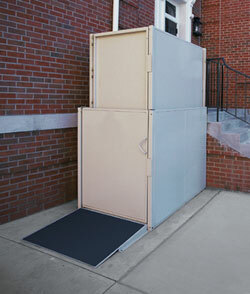 The rustproof aluminum frame with shatterproof, acrylic panels creates an attractive, weather protective enclosure for passengers - while requiring far less space and expense than contractor-built hoistway models. 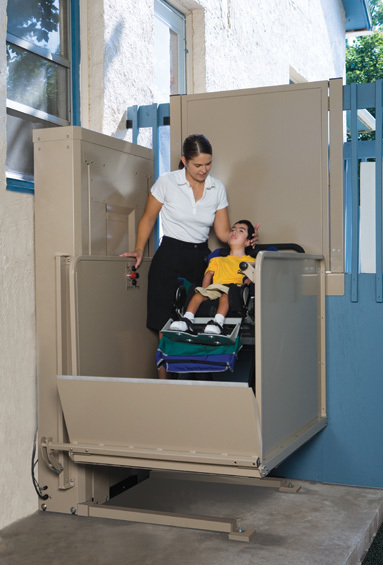 We engineer all of our lifts for their users' safety and comfort. 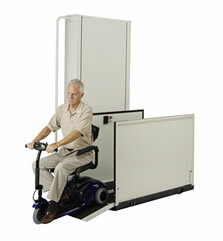 Each section undergoes rigorous testing for quality assurance prior to shipping. 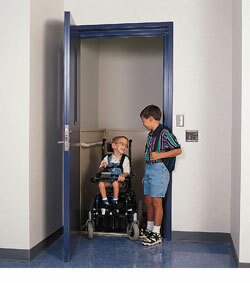 They fully comply with ADA accessibility guidelines. 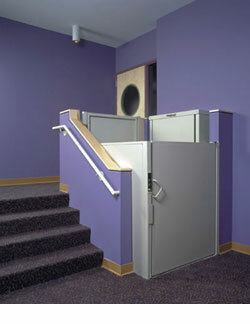 They are the same standards we use for our entire SNT Vertical and Wheelchair Lift Series and that's why it's the preferred choice for architects, builders and business owners from coast to coast. 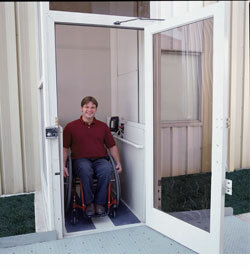 There are multiple safety features built into each wheelchair lift like door interlocks that prevent a door or gate from being opened if the platform is not there.